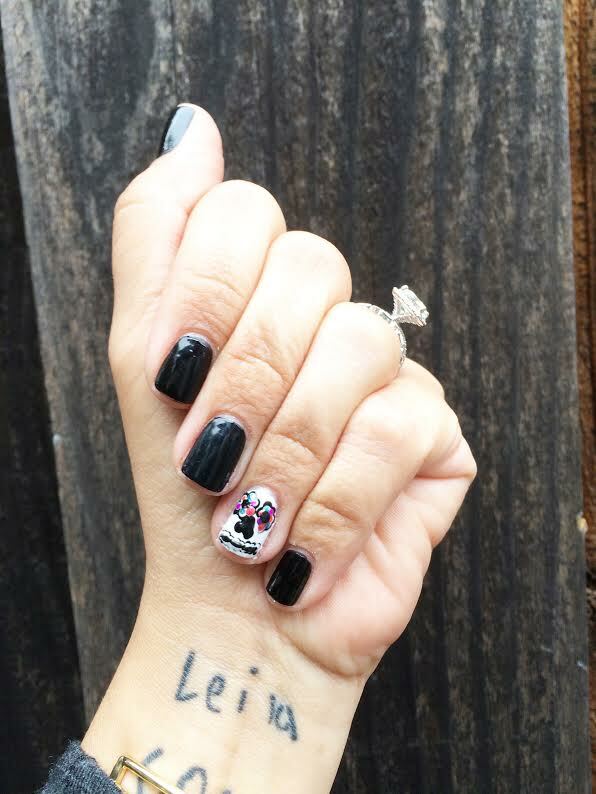 Happy Mani Monday, everyone! 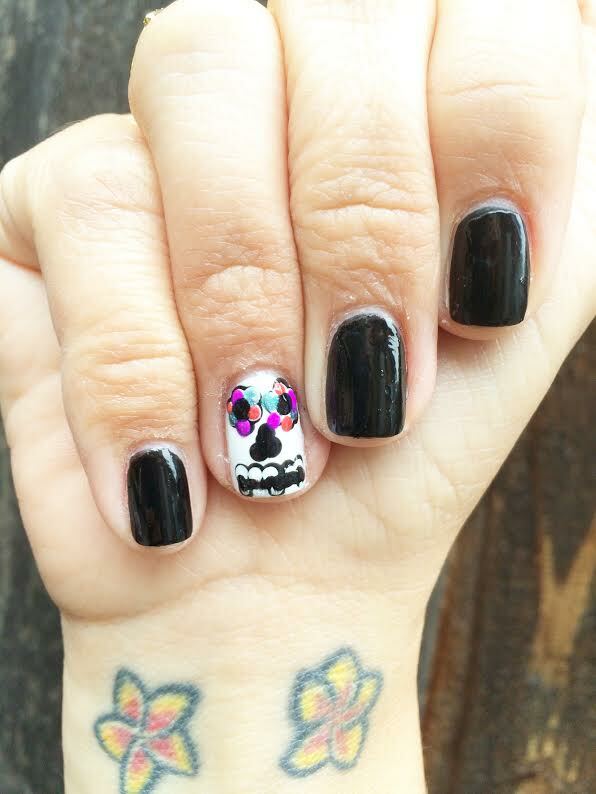 Instead of doing a spooky Halloween-themed mani I decided to go for a Dia de los Muertos one. Dia de los Muertos is being celebrated today (and yesterday) and I love the idea of celebrating your loved ones who have passed on. I love this mani! The base color is Blacky-O from Sally Hansen's miracle gel line. I love that line because you use it like regular nail polish, but it lasts forever and stays super shiny, like gel, but without the light or annoying removal. 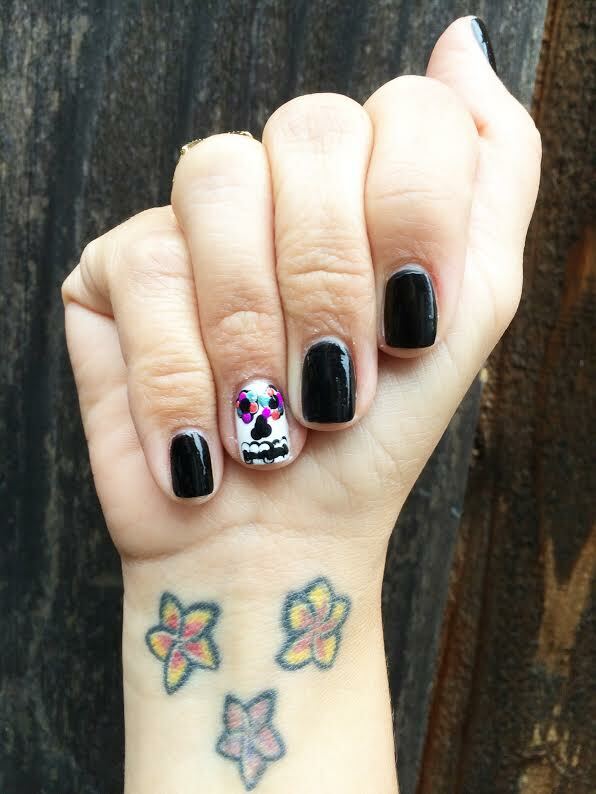 I actually did a better sugar skull on my right hand (which is weird, since I'm right-handed) but honestly neither of them came out amazing. I hope you guys have a great day, and Happy Dia de los Muertos!